Here’s your predicament: you want to hit the trails, but you don’t necessarily want to spend the night curled up on the cold, hard ground. Is there anything wrong with wanting to soak in a hot tub after climbing rock or kayaking or trail running all day? We’ve found adventure lodges that satisfy your need for top-notch, rugged adventure, and your desire for comfortable accommodations. Spend a weekend at one of these lodges, and you’ll have access to some of the best adventure in the South right outside your door. Virginians have used the high elevation Mountain Lake as a retreat from sweltering summers for hundreds of years. The regal, stone structure was built in 1936, but the property was operated as a resort even before the Civil War. And the lake at the center of the resort has been there for even longer. The 47-acre Mountain Lake is one of only two natural lakes in Virginia. It formed 6,000 years ago when a rock slide created a natural dam, trapping the cold waters from several natural springs. Since that time, the lake has served as a watering hole for animals, Native Americans, settlers, cows, and now vacationers. 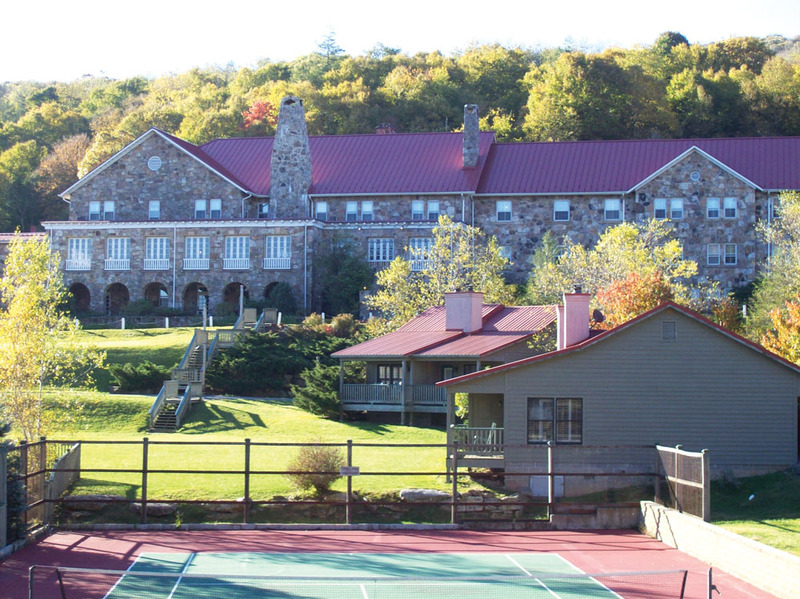 Today, it’s the centerpiece of the Mountain Lake Hotel and Conservancy, a resort surrounded by 2,600 acres of privately-owned forest with 22 miles of trail open to the public for hiking, biking, and cross country skiing. And if 22-miles of maintained trail aren’t enough, the property is surrounded by the Jefferson National Forest, and is only a few miles from the Appalachian Trail. The resort and conservancy sits on top of Salt Pond Mountain, almost 4,000 feet in elevation, and offers terrain perfectly suited for biking and trail running. Rooms in the Stone Hotel start at $150, giving you mountain views, private bathrooms, and access to the dining room in the heart of the building for classic Southern cuisine. Linger in the Peetoot’s Lounge for cocktails and expansive views of the lake. The hotel, restaurant, and lounge are open seasonally, May through October. If you’re looking for a winter getaway, Mountain Lake’s Blueberry Ridge Chalets are available, regardless of how much snow is on the ground. One-bedroom, private chalets start at $125. The 2,600-acres at your doorstep are dramatically varied, with trails that move from forest road to singletrack, from technical rock gardens to abandoned golf courses. The high elevation and north-facing nature of the property means the trail system holds snow well during the winter. As a result, Mountain Lake has become a hot bed of cross-country skiing. Time your trip right, and you’ll be able to ski from your chalet into the expansive trail system. Beginner skiers should stick to the open terrain near the stables, while experienced skiers have the entire trail system at their ski tips. Bring a wider ski as the trails aren’t groomed. If the mountain isn’t covered in snow, the trails are open to hiking, running, and biking. For one of the most technical runs or rides, check out the 2-mile Bear Cliffs Trail, which is choked with rocks and leads to a maze of cliffs with an impressive overlook. 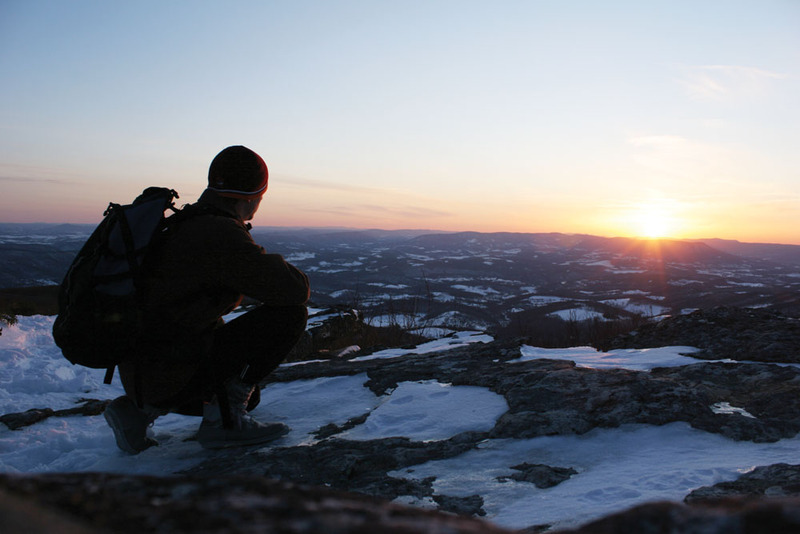 For another big view of the New River Valley, take the steep and rocky Bald Knob Trail from the hotel to the overlook of the same name. Mountain Lake sits in Giles County, a collection of small, historic towns, vibrant burgs, rolling farmland and dramatic public lands. For an adventure at the bottom of Mountain Lake, try paddling or biking the New River or hike to the 69-foot Cascade Falls on Little Stony Creek inside the Jefferson National Forest. The New River Gorge National River is a 70,000-acre park encompassing the deep and dramatic canyon cut by the New River. 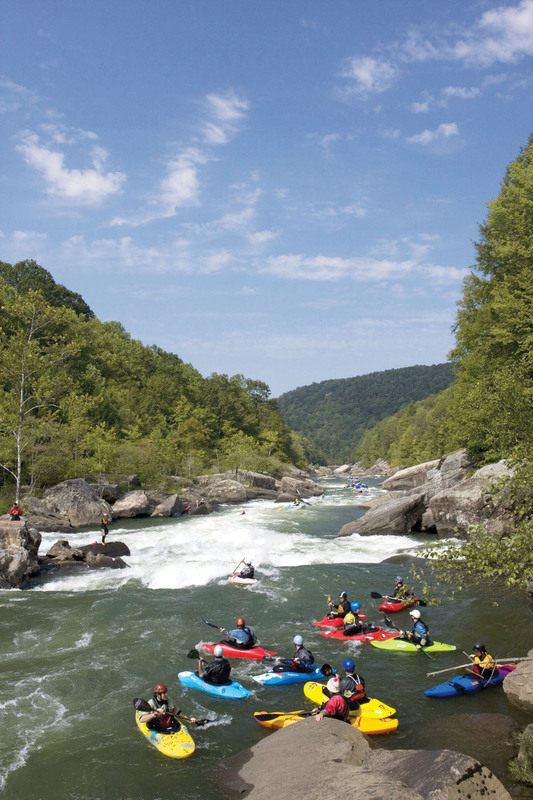 Over the years, the park has become a world-class whitewater and rock climbing destination. 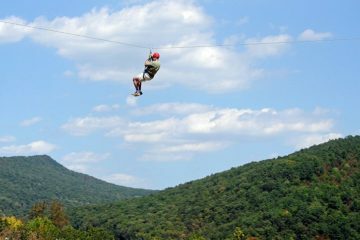 ACE Adventure Resort is one of the country’s largest adventure resorts, with 1,500 acres perched on the edge of the gorge above the Upper New. In addition to the endless Gorge recreation, ACE offers 30 miles of sweet, maintained singletrack and doubletrack paths within its own borders. In addition to technical singletrack, ACE has its own private climbing crags and a lake that pro kayakers use for kayak instruction. The only time you’re likely to see a crowd on ACE’s trails or crags is during one of its growing number of trail runs and mountain bike races the resort hosts every year. ACE has 50 cabins that range from rustic, one room homes to deluxe log cabins. They’re all privately situated so you don’t have to worry about the neighbors, and half of the cabins have hot tubs. Prices start at $129 a night. ACE also offers the Lakeside Dining Lodge, with a breakfast buffet and full dinner menu, and the Lost Paddle Bar and Grill. ACE’s climbing crags, known as “Middle Earth,” are comprised of three different cliffs with developed routes in the 60-foot range and grades perfect for beginners. If you’re just learning, ACE’s private crags will allow you to get more time on the rock, and less time waiting in line at the New’s popular beginner crags. Sign up for the two-day kayak instruction program and you’ll start with roll clinics on the lake, then if the water level is appropriate, you’ll move to the Upper New for class II whitewater. ACE’s trail system hooks up with the Southside Junction Trail inside the New River Gorge National Recreation Area, enabling you to access miles of the New’s official rail trails and doubletrack. ACE also has an expanding zipline tour and a mud course with a number of wacky challenges. ACE sits a few miles from downtown Fayetteville, the New’s cultural and economic hub. One of the best close-to-town hikes is the short, but steep New River Bridge Trail (1.6 miles) for views of the gorge and bridge. Check out the bullet-hard sandstone of the New at the Bridge Area for beginner routes, or Endless Wall for more experienced climbers. Twenty-two feet. That’s how much snow Savage River Lodge saw last winter. The lodge sits in a remote and mountainous corner of western Maryland that picks up snow from lake-effect storms. Last winter was the snowiest in recent history. Savage River and its surrounding area typically get 160 inches of snow a year, making it an ideal-but-underutilized cross-country ski destination. The lodge sits on 43 privately owned acres tucked inside 700 acres of the Savage River State Forest. Dreisdach has an agreement with the forest to maintain 14 miles of trails traversing the public forest, all of which can be accessed from the lodge’s private cabins. Savage River Lodge has 18 luxury cabins that start at $185 a night. The grounds also include a main lodge with 10,000 square feet of gathering space equipped with massive fireplaces, a bar, and a library. The restaurant serves breakfast, lunch, and dinner on weekends, specializing in wild game, seafood, and classics like pork tenderloin. Just outside the main lodge, guests carry cocktails and gather around a large bonfire at night. During the winter, cross-country skiing and snowshoeing occupy the days at Savage River. The lodge operates a ski shop that is fully equipped with rentals and professional instructors and guides. The lodge maintains 14 miles of cut trails, but when the snow is good, Dreisdach tracks out 10 additional miles of trails through the woods for guests to follow. If the snow’s really good, the entire forest becomes skiable. The official cut trails are well-blazed and easy to follow. The Bodhi Trail forms an inner loop around the property and is the easiest. The Outer Loop is the most challenging but offers the best views. The lodge even packs down a loop for skate skiers. For the ultimate Savage River experience, ski a mile into the woods to the Adirondack lean-to and outdoor grill, where Savage River staffers prepare a large fire and serve hot pies, hot chocolate, and hot ham and cheese sandwiches. If you visit during the warmer months, the ski trails become popular with bikers and hikers, and the staff runs shuttles into Frostburg and Cumberland where bikers can access the Great Allegany Passage, a converted rail trail. The lodge also has a wine geocache set up on the property. Find the wine corks at all four established caches, and you get two free glasses of wine at night. If you stay at Savage River Lodge during the winter, you’re within an hour’s drive of Wisp Resort and Seven Springs Resort, two of the best downhill ski resorts in the Mid-Atlantic. Visit during the spring or summer and you can drive 45 minutes to raft or paddle the Yough for serious class V whitewater. 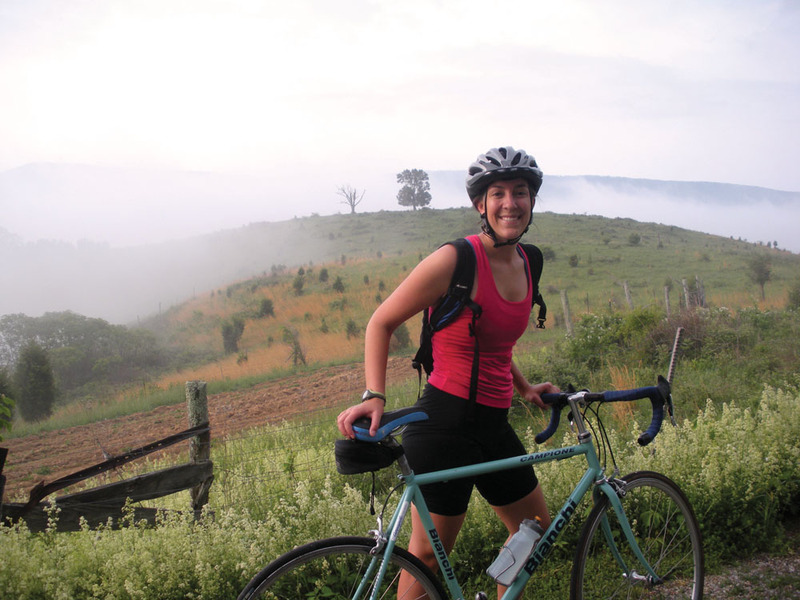 Most bikers eventually come to know Douthat’s 40 miles of trails through the Middle Mountain Mama, an annual cross country race that puts bikers on 21 miles of Douthat trails encircling the lake. The race has been running strong since ’98 and has helped turn Douthat into a recognizable biking destination. Today, the golf course plans have been scrapped and the park management has fully embraced mountain bikers. 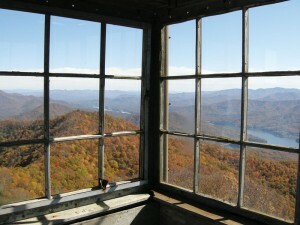 The trail density at Douthat is unrivaled (40 miles in 4,493 acres) and the system is well marked and well-maintained. 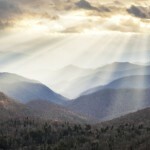 The land managers at the George Washington National Forest, which surrounds Douthat, have been putting just as much energy and money into their trail system to better connect the park’s trail system with the trails inside the forest. 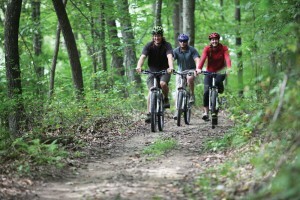 All this attention is creating one of the most promising bike and hike experiences in the South. Douthat has 35 private cabins scattered around the lake and valley, ranging from one-bedroom chalets to large six-bedroom lodges. The smaller cabins start at $57 during the off season. This is a state park, so don’t expect marble tiled floors, but each cabin has air conditioning and heat, some have porches and lake views, and all the beds are comfy after a long day of riding. The park also runs a restaurant overlooking the lake that’s open on weekends from Easter through October. Biking at Douthat isn’t for the faint of heart. 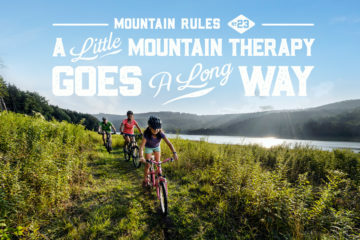 Ride the 21-mile Middle Mountain Mama course which will take you along the edges of the park, up and down Middle via a 1,500 foot climb up Stony Run, then up and down Beard’s Gap for a shorter, but steeper and more rugged climb. The highlight of the ride is Brushy Hollow, which is a bomber descent with a personality disorder. Steep, tight switchbacks on a narrow benchcut trail that give way to ripping-fast singletrack at the bottom. If 21 miles isn’t enough, try the XXC course, which is a 40-mile journey that steps out of the park boundaries to incorporate some of the forest’s best singletrack.And when you’re done, you can take a dip in the 50-acre lake. Douthat straddles Bath and Alleghany counties and sits just a few miles from Clifton Forge, a small rail town that’s seeing a renaissance in recent years. If you really need to rest your legs after hitting the trails hard, head to the Jefferson Pools (thehomestead.com) in the town of Warm Springs for a soak in natural, 98-degree springs, but be warned: it’s clothing optional. Mulberry Gap Mountain Bike Getaway is a collection of cabins and bunk-houses sitting a half-mile from the Pinhoti Trail, an IMBA designated epic trail system in the middle of the “mountain bike capital of Georgia.” The facility boasts a hot-tub, recreation room, and offers optional homemade, family-style grub for breakfast and dinner. It may sound too good to be true, but Mulberry Gap has slowly been gaining a reputation as a mountain biker’s dream: hot meals and cozy digs within pedaling distance of a nationally-renowned trail system. “It’s unique to have these sort of accommodations essentially on the trail, so bikers never have to get in their car once they’re here,” says Rick Moon, mountain biker and president of the Georgia Pinhoti Trail Association. In addition to the Pinhoti, some of the best downhill singletrack in the state is within pedaling distance from the lodge. 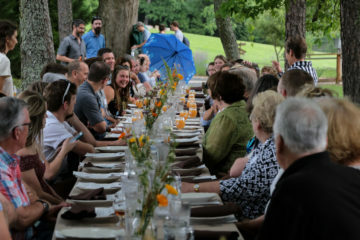 Mulberry comes staffed with shuttle drivers and bike guides and each ride ends with a hot meal served next to a wood-fired stove. The cabins are rustic and most have bunk beds to accommodate more bikers, but there are two cabins reserved for couples. Rates start at $70 a night, meals are extra, and there are camping options as well. 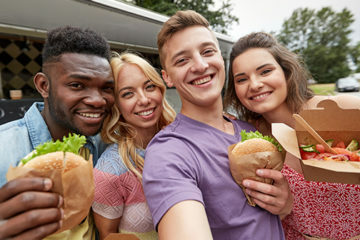 On the property, there’s a main dining hall where all meals are served, along with an outdoor bar, and a recreation room that comes equipped with a big screen TV, ping-pong table, and Frogger. A hot tub and large fire pit round out the amenities. 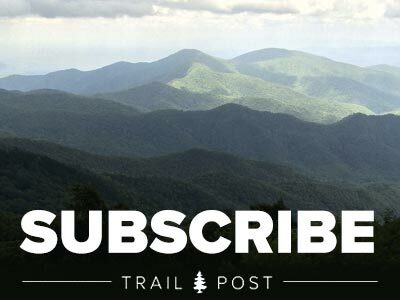 You’ve got 80 miles of trail within a half-hour drive of Mulberry Gap, but some of the best rides start essentially at your door, including choice sections of the Pinhoti Trail, a 140-mile IMBA Epic that runs from Ellijay to the Alabama border. Mulberry Gap sits in the middle of what many consider to be the sweetest piece of the Pinhoti. For a relatively quick out and bike, pedal the Pinhoti 3, which climbs a little over four miles to a gorgeous overlook along Highway 58. The tread is smooth, the switchbacks are tight (few can clear them all) and the downhill back to the lodge is out of this world. For another Pinhoti ride, grab a shuttle from Mulberry Gap and pedal Bear Creek, one of Georgia’s best downhills, to Pinhoti 1 and 2 for rip-rolling fast singletrack. The total ride is 15 miles and finishes with a half-mile gravel road ride back to the lodge. If you’re looking for more biking, drive a half hour to Carter’s Lake, which has five miles of cross-country trails surrounding the lake as well as some of the best downhill courses in Georgia. You could also paddle the class II-III Cartecay River just outside of Ellijay. If you want to spend the night in the Len Foote Hike Inn, you’re gonna want to stretch first. 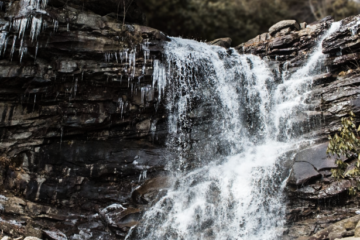 The only way to reach the 20-room lodge is via a five-mile hike that begins in Amicalola Falls State Park, home to a 729-foot cascading waterfall. 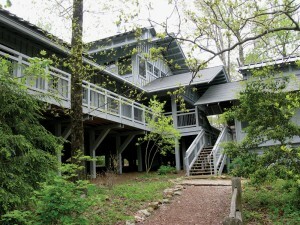 The LEED-certified eco-lodge sits on a ridge between the state park and Springer Mountain, the southern terminus of the Appalachian Trail, offering a unique backcountry inn experience. There are no TVs inside the inn, and cell phones aren’t welcome either. In fact, there are no electric outlets in the rooms period. 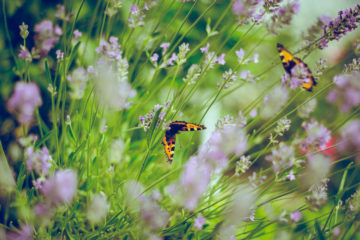 The lack of modern technology allows guests to “reboot” with nature and get away from the jingle jangle of today’s world. “Everyone sits together during meals, and they congregate in the Sunrise Room. There are very few places like this in the country,” says Dave Little, head cook for the Hike Inn. You may not find modern distractions at the Hike Inn, but make the five-mile trek into the lodge, and what you’ll find is comfortable rooms, wood burning stoves, a library stacked with books and games, and family-style meals for dinner and breakfast. The inn employs some impressive eco practices as well, including composting toilets, solar panels, even vermiculture. When you show up, the staff takes you on a tour of the facilities that highlights the environmental practices. A guest favorite is the trip to the basement to see the vermiculture project where the worms are hard at work composting waste. The rooms at the Hike Inn are basic (bunk beds), but start at $70 a night, and that includes a “home-cooked” dinner and breakfast. You’re probably not going to spend much time inside your room anyway. Instead, roam the short trails around the inn during daylight (check out the inn’s “Star Base,” a celestial calendar), and spend the evening inside the gorgeous Sunrise Room, sitting by the wood burning stove, picking titles off the library. Comfy Adirondack chairs are scattered throughout the grounds, offering quiet spots to soak in the surrounding forest. The five-mile trail from the park’s visitor’s center to the inn will take you through a number of bogs and springs as it slowly gains elevation. Since this trail is “mandatory,” make sure you have time to explore the terrain inside the park near the falls, as well as the ridges beyond the lodge. 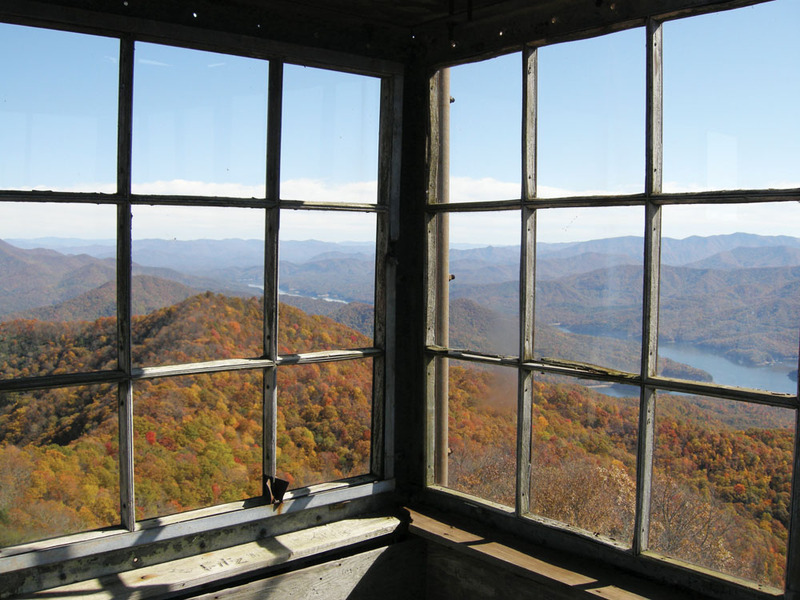 Inside the park, hike the first mile of the East Ridge Trail for a steep climb that includes 604 steps to the Amicalola Falls overlook. The 729-foot Amicalola is the tallest waterfall in Georgia and one of the tallest cascading falls east of the Mississippi. You can catch more secluded views of the waterfall from the short Upper West Ridge Trail. 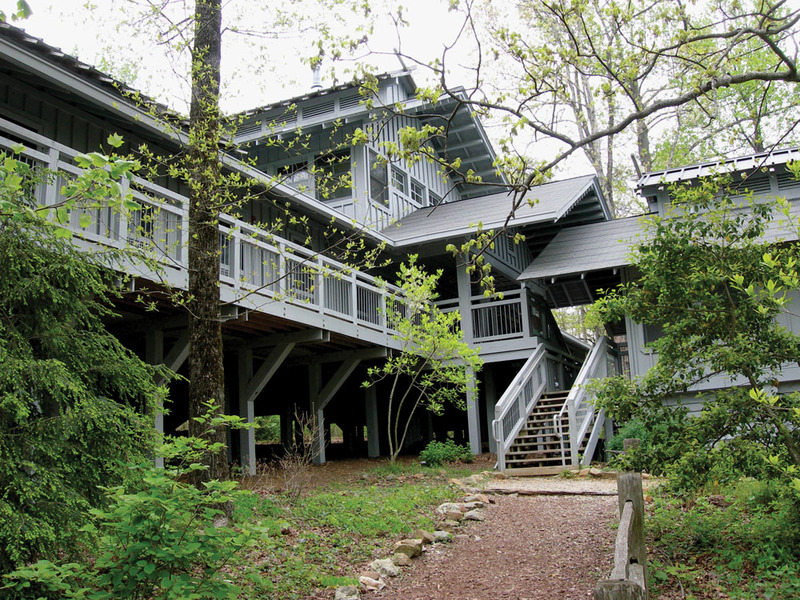 From the lodge, you’re just 4.5-miles from Springer Mountain and the southern end of the Appalachian Trail. The climb to Springer is tough, but you’ll find a shelter on top of Black Mountain and then a great view to the west from the top of Springer. Check out the Dawson Forest, a 10,000-acre piece of land near Dawsonville with miles of singletrack and forest roads, some of which cruise alongside the Etowah River and Amicalola Creek. 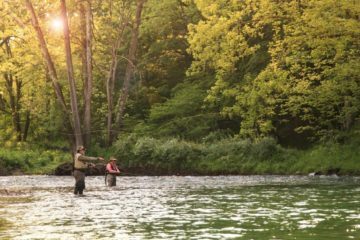 If you go during the summer, consider paddling or swimming at the Edge of the World, a collection of class III-IV shoots, drops, and swimming holes in Amicalola Creek. Think staying at a lodge that you have to hike to is novel? Try staying at a lodge you have to paddle to. Oh, and the “lodge” is actually a collection of tree houses. The Edisto River Tree Houses are a collection of three unique structures sitting above the bank of the Edisto River, the longest free-flowing blackwater river in the country, offering boaters one of the most unique backcountry experiences in the Southeast. The water is dyed black from the tannic acids leeching from decomposing vegetation. It may look murky, but it’s actually cleaner than most rivers. The river flows 175 miles from the northwestern corner of South Carolina into the Atlantic Ocean adjacent to the island of the same name. Along its route, the Edisto is lined with cypress and tupelo swamps, huge live oaks draped in Spanish moss, even the occasional sandy beach. The tree houses sit inside a 150-acre private refuge in the middle of the 57-mile Edisto River Trail. The refuge and its surroundings have been flooded by the Atlantic Ocean at least a half-dozen times over the course of history, and landowners have even found fossilized shark teeth on the property. It’s tough to find high ground in the river basin suitable for building, so development along the river corridor is scarce, adding to the primitive nature of the trip. Each of the three tree houses is fully furnished and surrounded by a bald cypress and water tupelo swamp. Rates are $125 per person per night. The houses sit 15 feet above the ground and are connected to outhouses by swinging bridges. Don’t expect electricity or running water. Instead, you get board games, grills, porches, hammocks, peace and quiet, and the opportunity to be sung to sleep by a chorus of frogs. You can send food and supplies ahead with Carolina Heritage Outfitters, so you can cook big meals and have most of the comforts of home. The standard Edisto Tree House trip is a 22-mile overnight paddle along a choice section of the river with an overnight in one of the tree houses. There are no rapids, no dams, no swift moving water at all on the Edisto, which typically moves at a calm two mile-per-hour pace. Think of this paddle (11 miles on either end of the tree houses) as a relaxing drift through an ancient cypress and tupelo grove with the chance to see an astonishing amount of wildlife. The area is “under developed” because of the periodic floods of the river, so it’s become a haven for a variety of creatures, including woodpeckers, beaver, otter, deer, king fishers, storks, bobcat, even alligators. The occasional sandy beach will stick out from the bottomland forest along the bank, giving you the opportunity to swim during warmer months. Once you get settled into the tree house, leave some time to explore the trail through the Edisto River Refuge. The refuge will occasionally flood during springs with heavy rain, but typically you can walk on terra firma through the “swamp” of old growth cypress knees. Check out Colleton State Park, also in Canadys, which is the headquarters for the Edisto River Canoe and Kayak Trail and also home to the .3-mile Cypress Swamp Trail. Or head south into the larger Givhans Ferry State Park for more paddling on the Edisto. The curvy roads attract a large number of car clubs to Fontana Village, but few people looking for adventure on the trails venture past Bryson City and Tsali National Recreation Area, which are much easier to get to. Make the drive into the village, and you’ll have a 25-mile trail system maintained by the resort essentially all to yourself. You have your choice from private cabins perched on the mountainside to well-appointed lodge rooms. Rooms start at $59 during the week. 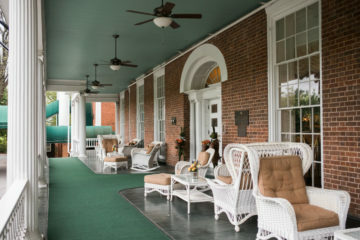 The lodge has a gorgeous lobby with massive stone columns and a fireplace, and features an onsite bistro and lounge with a porch overlooking the Smoky Mountains. Fontana Village is fully stacked with an indoor and outdoor pool, onsite masseur, game room, riding stables, even its own professionally designed disc golf course. 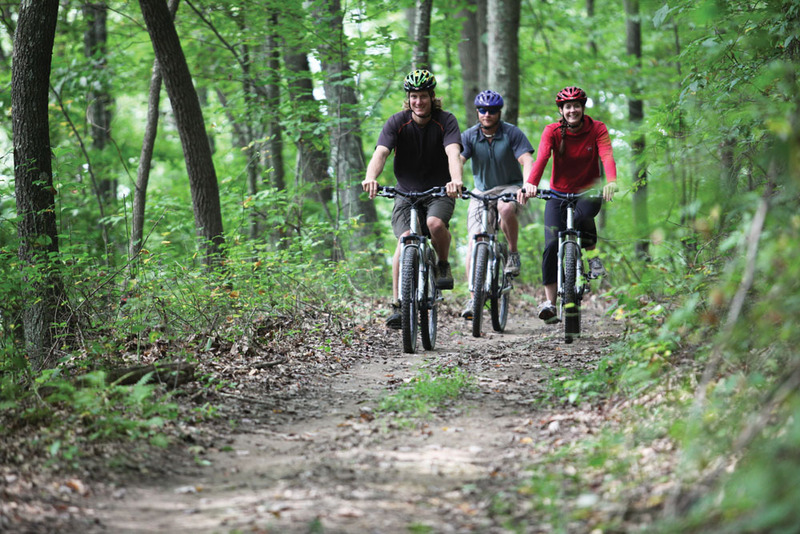 With 25 miles of well-maintained trails, you’ve got hiking and mountain biking right out your door. The system is so good, the village hosts two popular mountain bike events every year (Fontana Dam Jam and the Icycle Downhill). For bikers, Turkey Chute should be on your “to ride” list. It’s a white-knuckle four-mile downhill dropping through rocks, roots, and berms. Hikers should tackle Stairway to Heaven, a six-mile hike climbing 1,000 feet and ending at Lookout Rock with big views of the lake, dam, and village. For flatwater paddling, head to the resort’s marina to rent canoes or kayaks. Lake Fontana is massive (240 miles of shoreline), but you can paddle from the marina and find isolated islands and tumbling cascades within an hour.